Hong Kong-based JUICE is finally ready to release its adidas Consortium collaboration. 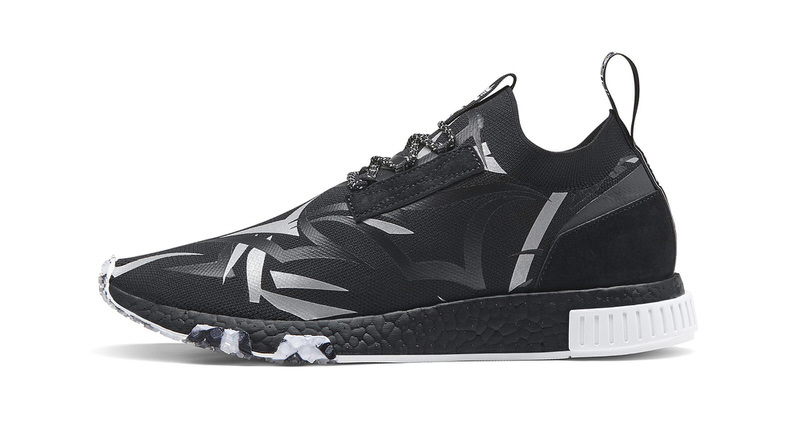 After a preview last year, the partnering NMD Racer is set to drop next week overseas and in the U.S. a week later. Featuring a sleek graphic pattern that blankets the angular new NMD, black Primeknit acts as a baselayer while below we’re privy to black color Boost with updated midsole tooling. Suede paneling touches both the eyestay and heel while patterned, textured laces close the look. Expect the JUICE x adidas NMD Racer at JUICE on January 13 and global Consortium retailers the following week. Stay tuned for more details.